Stretchy headbands available for Halloween 2014 from Scrap Maniac. 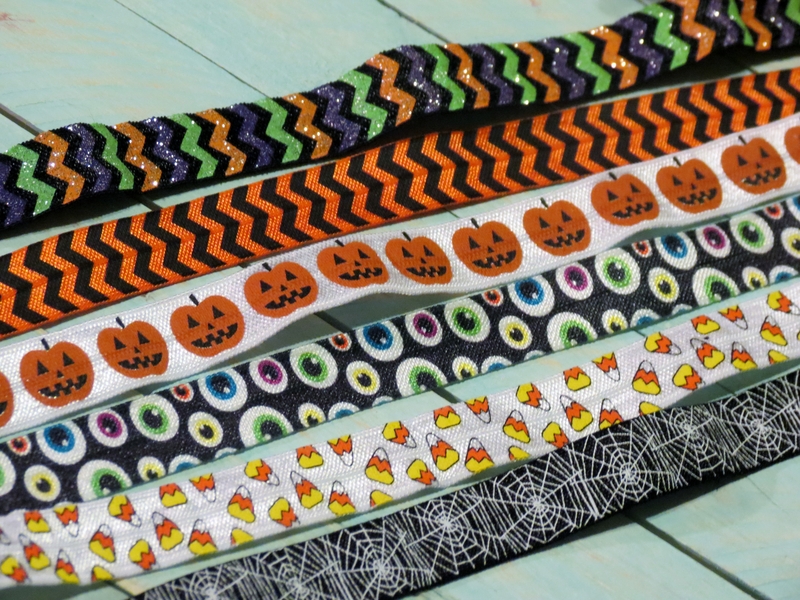 5/8″ Pattern FOE available for stretchy elastic headbands, Halloween 2014. Colors shown are zigzag with black, orange, green and purple, black and orange zigzag, white with pumpkins, black with monster eyes, white with candy corn, black with spider webs. 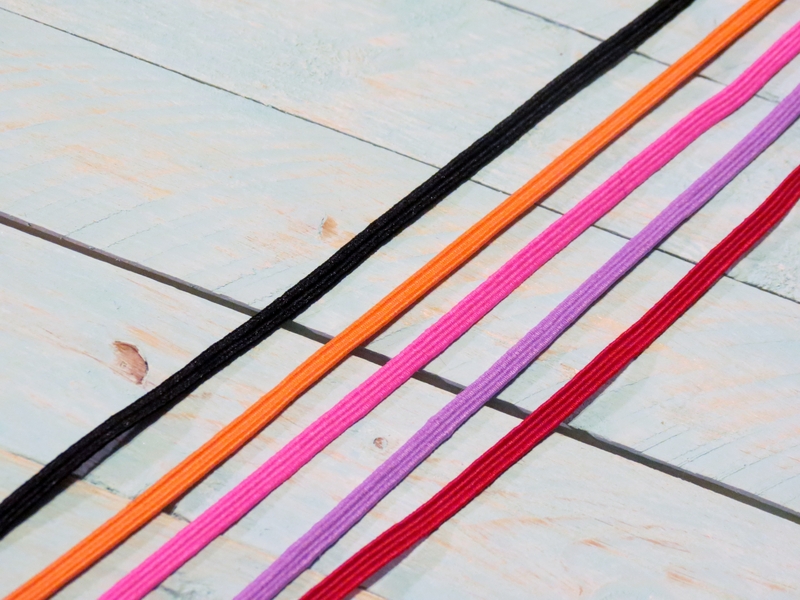 1/8″ Solid Skinny Elastic available for stretchy elastic headbands, Halloween 2014. Colors shown are black, orange, pink, grape and red. 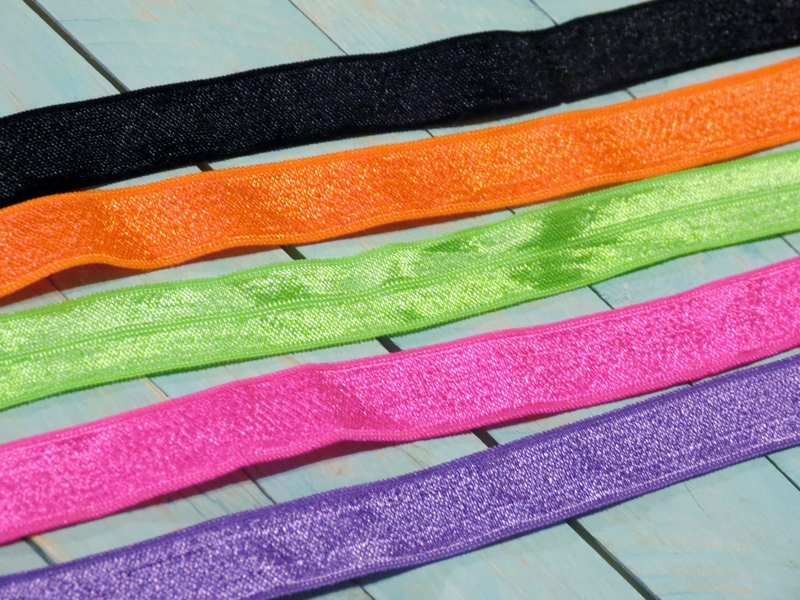 5/8″ Solid FOE available for stretchy elastic headbands, Halloween 2014. Colors shown are black, neon orange, acid green, pink and grape.